I'm in the drawing for Booker's 30th. At $200 I won't be disappointed to lose out. Danno1 wrote: I'm in the drawing for Booker's 30th. At $200 I won't be disappointed to lose out. The restaurant I was at last night had a 1 ounce pour for $30, which was more than the BTACs and the 10 and 12 year Van Winkles. Yeah $200 for Bookers is pretty damn steep. I know the stuff will obviously go like crazy but man I gotta draw the line on that one. Considering there is a boatload of Knob Creek 25th still sitting everywhere at $135 a bottle I am surprised Beam pushed the msrp on this one so high. Not sure how many will be interested but Silver Screen Bottling Company is releasing Dutch Bourbon Whiskey. Named after Arnold Schwarzenegger's character in the original PREDATOR. It's scheduled to be released in April 2019. I was curious enough and ordered a bottle (only $35 plus $20 for shipping). 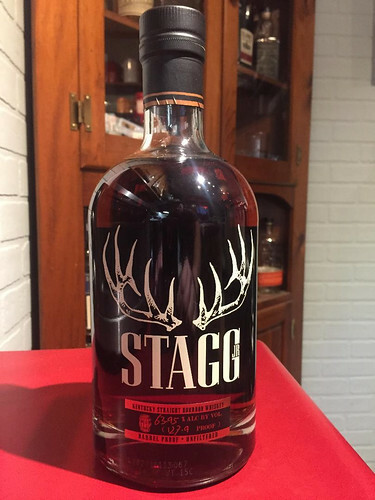 Well bourbon hunting has just gotten completely out of control in SE Ohio and N KY. This list is now provided to customers who sign up for the email for a N KY local I visit frequently. Get there this morning 20 minutes before doors open and I am about #150 in line. I thought crap there is only one that I really want and no way it will still be there when I get to the table. Talking to a group of 4 in line also reminiscing on just a few simple years ago absolutely not a single bottle on this list would warrant an email, not a single one. They all follow crapbook groups and one in particular for our area, they say people are simply just hoarding all this bourbon. They aren't drinking any of it but simply stashing it. Older guys who have recently retired and have nothing else to do but hunt and hoard bourbon. Said some of these guys hit 7 stores on a daily basis and buy anything not completely readily available everywhere. One guy in line traded a bottle of something for something and met this guy at his house, said dude literally just has 1000's of bottles stashed in a bar in his basement. Wont sell anything, will only entertain offers of trade. The Eagle Rare 1.75l went first at about 75 spots ahead of me. Everything else was still available by the time I was next. Well I cannot see myself ever buying a bottle that will not be cracked open fairly soon. That's insane. All of that stuff except for the Eagle Rare 1.75s (I've never seen one in MN), Wellers, and to some extent, the Stagg Jr. are all readily available here. What's up with that Johnny Drum? I've seen a few people mention it lately. Worth a try? It sits on shelves here. EH Taylor bourbons (not the rye, so much, though) are getting harder to come by. I have a Single Barrel and a Small Batch stashed. Sazerac goes for 120nzd here, Stagg for 200. I do not partake. Honestly, I think I need to start getting into rum instead... it's getting too crazy. 63schoeffling wrote: Honestly, I think I need to start getting into rum instead... it's getting too crazy. Kidding, sort of. I'll freely admit to never giving the good sipping rums a shot, so I have no frame of reference. I actually almost bought a bottle of the Appleton Estates 21 year because I've heard it's one of the best, but I couldn't stomach a $130 bottle of rum for my entry-level purchase. I don't think there is anything special about the Johnny Drum. We have had it and its so so. Nothing to hunt for sure. Part of the Willet family but most assuredly simply sourced from Heaven Hill. Mount Gay Black Barrel Rum is outstanding. I keep going right back to it every time. If you look at virtually any list of "top 50 rums" you will find most to be in the $30-$60 range. I like well-aged rums almost as much as my favorite whiskies. Bacardi 8YO or 10YO - the 8YO can be as low as $20, and sips like a whiskey. Not a fan of Agricole rums myself. Thanks for the info. I’d say about 90% of my rum drinking was done in college with Bacardi and Captain Morgan, so I definitely haven’t given it a fair shake. Hell, of a $40-50 bottle can get me some outstanding liquor, I might have to try dabbling because this bourbon fudge is only going to keep getting worse. 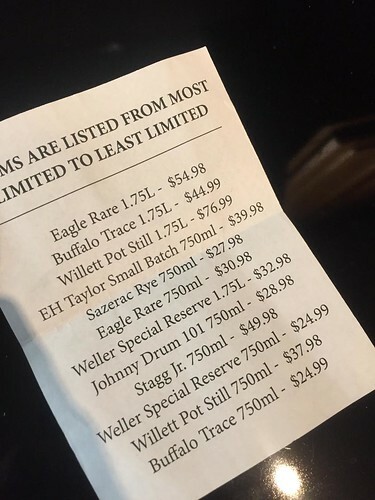 For example, PA was selling the Elmer T Lee bottles in stores a little over a year ago for about $35 and now they run it in lottos only.... and a store in NJ had a bottle for $150. I just scratched my head and gave up going back to that store. It’s insane the markups lately. The fight for limited edition bourbons is out of control. The good news, imo, is that there are a lot of bottles/brands that aren't hard to get that are great. 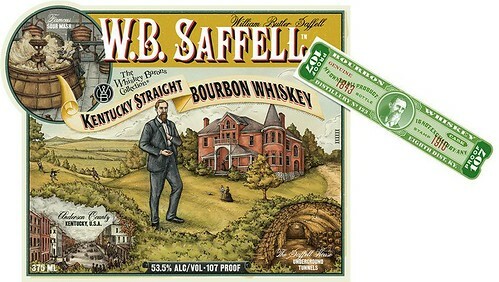 New and supposed "limited" release from Wild Turkey. At $48 for a 375ml it's an easy pass for me.